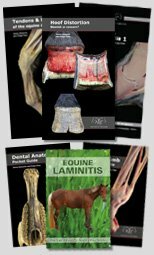 The distal limb bones are the foundation of equine lower leg. There are nine bones total and each plays a vital role in movement and stability. The distal limb is everything below the knee and the hock. There is no muscle below the knee and hock. 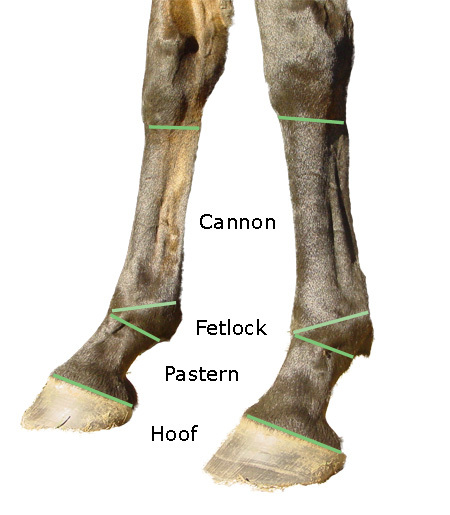 In the young horse, there are three separate bones in the cannon region of the leg. 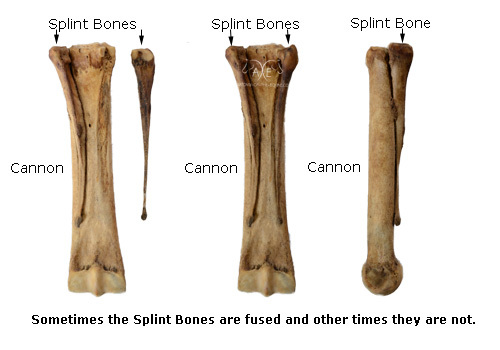 It is very common for the splint bones to fuse with the cannon. In this example, one splint bone is fused and the other is not. This is the same cannon bone in each photo. One of the splints has fused and the other has not. The splint bone has been placed properly. 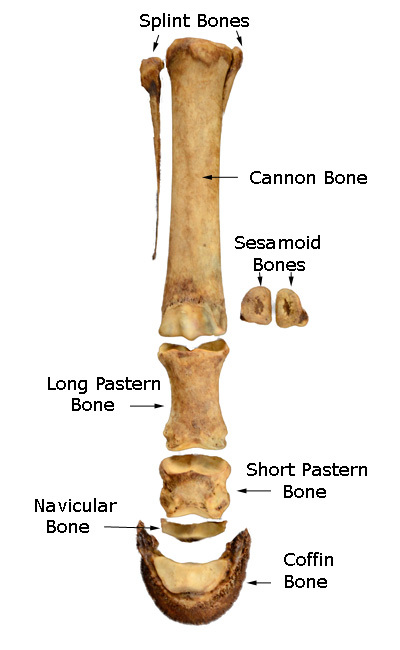 The Suspensory Ligament attaches to the proximal (top) back side of the cannon bone. It is nestled between the natural groove created by the splint bones. 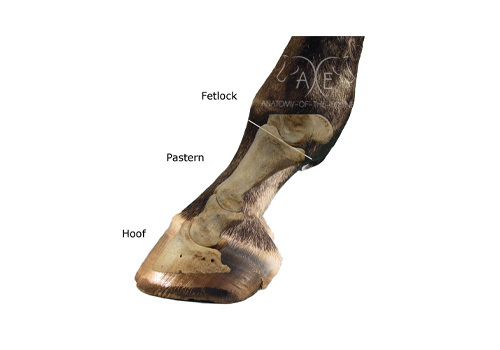 The fetlock joint is where the equine distal limb becomes more complex. The forces on the leg change angle especially at speed. The pastern is very complex. The long and short pastern are connected by many intricate ligaments. The ligaments help stabilize the forces coming from the uneven ground. 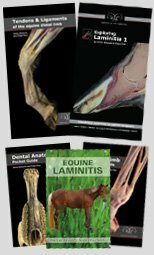 The Superficial Digital Flexor Tendon attaches where the long and short pastern meet. There are three bones within the hoof. The bones are positioned in the front part of the hoof. 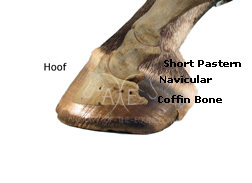 There is a lot of soft tissue in the caudal (back) aspect of the hoof.